There are huge number of people around the world are using iPhone every day. So as a matter of number, iPhone users also face the common problems that arise time to time. Accidentally deleting photos are one of the most common problems faced by a lot of iPhone users. You don't do it intentionally, but after deleting all the important photos, the first thing that crosses your mind is how to recover them? If you are an iPhone user and also use the photo Vault app, you must have faced this issue too! Reading this article will help you to recover deleted photos from iPhone photo vault with ease. If you have accidentally deleted or lost iPhone photos that you have locked or hidden before via the Vault app, then you don't have to worry at all. Really, iPhone photo vault recovery is easy when you have Tenorshare UltData software. This is software can recover iPhone photos, contacts, messages, notes, etc. in a very short time. It has a very easy to use system and user friendly interface. Here is how you can learn about photo vault app recovery in iPhone XS/XS Max/XR/X/8/8 Plus/7/7 Plus/6S/6/SE/5s/5. 1. Download and install UltData in your PC and run it. Connect your iPhone to your PC using a good quality USB cable. You will see a pop up window appear and now tap on "Trust". So that the PC trusts the iPhone device. 2. Now click on "Start Scan" from the home interface to start scanning your iPhone device for photos. 3. Now you will see all the deleted or lost data in front of you. Tick on "Photos" from the left menu and you can either choose all the photos or select any photo of your choice to recover. Tap on the "Recover" button from the right side bottom to recover the photos. Note: You can also recover photos from iTunes and iCloud back up files by using UltData. For iTunes, go to "Recover from iTunes Backup File" and choose any of the backup files that comes in front of you or choose the latest one. Click on "Start Scan" and then follow the previous recovery process. For iCloud, log in to your iCloud account to restore backup file or do the same thing like iTunes to recover photos from iCloud backup. Vault is a very useful app for iPhone users, developed by NQ Mobile Inc. It keeps your personal photos and videos safe and hides your privacy. It can also back up your photos and videos on iCloud. It uses "Space Encryption", accessing app with personal digital password and also supports unlock your Vault with Touch ID. You can import photos and videos via bulk mode and organize your phone with the help of its intelligent folder management system. You can also trick other people by setting a fake password and creating a fake Vault. It can disguise itself as the Camera and show the picture taking interface. Your data will be backed up to your personal cloud space automatically. If an intruder tries to access your Vault with a wrong password, a photo of his/her face will be taken and recorded. This app will help you to easily move your sensitive or personal photos into a private, password-protected album. You need to mark the photos from any album that you want to hide and they will appear in a viewer in Vault, which can only be accessed with a password. You can also hide your Facebook messages by chatting through Vault instead. There is a camera app named "Vault Camera" inside the Mobile Vault that can take photos and automatically add them to the vault. 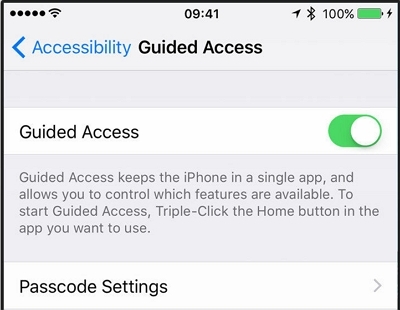 This app requires iOS 9.0 or later and it's ompatible with iPhone, iPad, and iPod touch. Recovering deleted photo from iPhone Vault app is really easy when you follow the steps described in this article. Tenorshare UltData software is the best way to recover your deleted photos from Vault app. 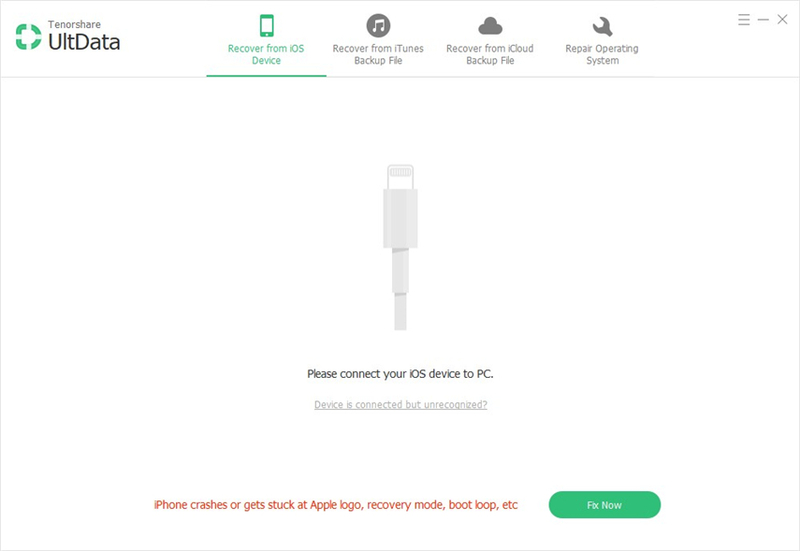 You can also recover any other data that is lost from your iPhone. Measuring the weight of this issue, we really understand that you need a helping hand at this. When it comes to recover your iPhone data , UltData is something that you can blindly trust on.